In the short, troubled and tumultuous history of the National Prosecuting Authority, chaos has reigned. Formed only in 1998, it has seen one head resign after being cleared of being an Apartheid spy, the next being fired after trying to charge the National Police Commissioner, a third suffering the humiliation of being declared not “fit and proper” by the Constitutional Court and the fourth being denied security clearance. You might say that to lose one head of the NPA is careless, two is unlucky, and three, well, three is enemy action. Look closer, and in fact, the hand of President Jacob Zuma appears to have been involved at some level in all three of these. It seems hard for him to escape blame for what’s happening around the next incumbent in this post. By STEPHEN GROOTES. I have this fantasy where as a radio presenter my guest is dosed up with truth serum and I get to ask a question that they have to answer, and answer truthfully. It’s a simple around-the-braai question and if you had the chance, what would you ask Jacob Zuma? It’s no contest, really. It’s not about the average temperature of the firepool or what he said to Thabo Mbeki when they last spoke, or even if Cyril is going to be the next president. It’s: What is your real agenda with the National Prosecuting Authority? Going back to those busy and heady days of 2008 and 2009, there were many questions about whether Zuma, and the ANC under him, would respect the judiciary. Gwede Mantshe had been complaining loudly and bitterly about “counter-revolutionary judges”. Zapiro had responded in the way he saw fit. But in fact, all of those worries about whether Zuma cared about the views of judges were misplaced. Because he already knew that the real power lay with the National Prosecuting Authority. If you control that, you have a pretty effective control over the criminal justice system. It decides who to prosecute and who not to, and thus you win. Zuma’s appointment of Menzi Simelane to the post in 2009 was so outrageous that it was overturned. While it was then President Kgalema Motlanthe who technically fired Vusi Pikoli (finishing the process started by Mbeki), there is no doubt he would not have done it if Zuma hadn’t agreed. And Pikoli says that he was told by Zuma’s supporters he could keep his job, if he promised not to reinstate corruption charges against him. Which brings us to his predecessor, Bulelani Ngcuka. Ngcuka, as those with long memories will remember, was accused of being a spy for the Apartheid regime. The main accusers were Mo Shaik and Mac Maharaj. One of them became the head of our Secret Service for a while; the other, well, the other is infinitely more famous. And it is hard to argue that their accusation had nothing to do with Zuma himself, and that protecting him was their real agenda. This is not to say that Ngcuka was blameless; he had told black newspaper editors “this man is not fit” to be president, and then claimed he would not prosecute Zuma despite “prima facie evidence of corruption”. All of which was wrong. The point of all of this is that long before he came to power, Zuma knew that if you control the NPA, then you are safe. Which brings us back to where the NPA is today. The NPA’s head, Mxolisi Nxasana, is accused of having not being entirely honest when asked about his criminal record when taking the job. He was acquitted of murder in 1985 (as a very young man) but then accused of two other assaults. He also appeared to try to escape from the police after committing a traffic offence. As the result of all of this, he has been denied Top Secret clearance. His deputy is advocate Nomgcoba Jiba. She tried to arrest Gerrie Nel just as he was about to have Jackie Selebi convicted. Nel went on to other things. Zuma, out of nowhere, quietly expunged the criminal record of her husband, Booker Nhantsi, so that he could take up a top job in a municipality. Jiba, we’re told, is refusing to hand over the Richard Mduli case file to Nxasana. That case matters because the Supreme Court of Appeal has ruled the NPA must make a decision about whether to reinstate murder charges against him. The person who made the decision to withdraw those charges (which was later set aside by both the North Gauteng High Court and the SCA) is advocate Lawrence Mrwebi. He, says the Sunday Independent, is going to be arrested next month, because he tried to obstruct justice by blocking an investigation into a mate for tender fraud. Nxasana, Jiba, or Mrwebi. Which one would you trust with your life savings? And they’re all fighting each other. They might deserve each other, but we certainly don’t deserve them. As the head of Corruption Watch, David Lewis, put it on the Midday Report on Monday, this is a leadership fiasco. He also asked the question that everyone else has been thinking: how is it possible that Nxasana was appointed to this post without all of this information being known first. And was it to have something “in someone’s back pocket” to use if necessary? As always in politics, there is one question that gets you the answer that usually explains everything. Who benefits? Who benefits from the NPA in complete disarray? Who is the one person who is served by this? And who would have the power to create this situation, by appointing certain people to certain jobs? And who would know that if you control the NPA, you are safe? 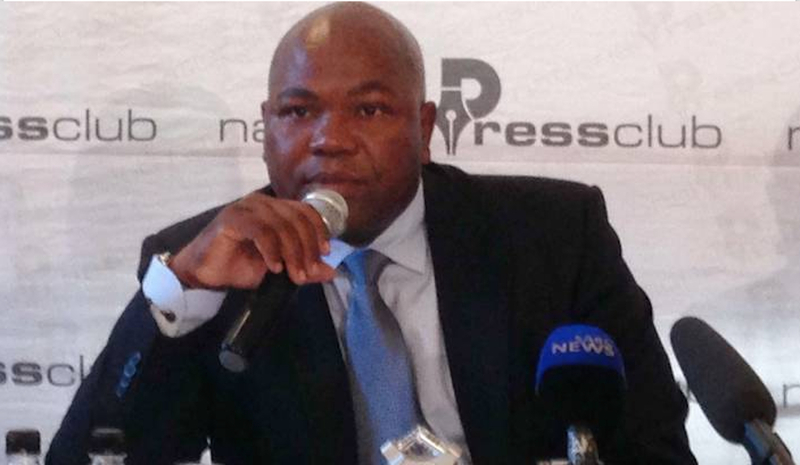 Zuma has refused to explain his appointment of Nxasana. Why an attorney who very few people outside of KZN have heard of? Why this particular person, what is it about them that makes them best suited for the job? Zuma will say that he has no legal duty to explain himself; that he certainly doesn’t have to justify his decisions to the likes of me. Fine. But then I will have to assume the worst. That this is simply the continuation of a strategy that’s worked so well for Zuma in the past.